The Hit 1983 ‘War Games’ To Be Remade!!! That’s right. Another one of my childhood movies is getting the reboot treatment. 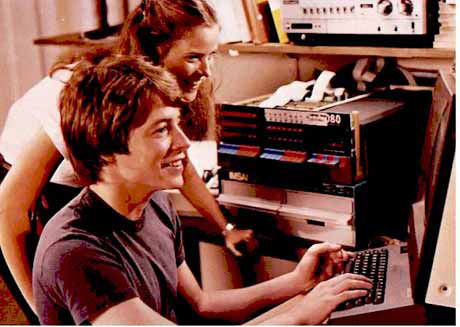 This time it is the 1983 ‘War Games’ that starred Matthew Broderick and Ally Sheedy who were computer prodigies who find a back door into a military computer program. They think they are playing games with the computer only to find they could trigger WWIII if the computer launches nuclear missiles at the Russians. MGM has hired Noah Oppenheim to write the script. Oppenheim is mainly a producer for ‘Hardball With Chris Matthews’ and ‘Today’, but has transferred into the writing field as of recently. So out of left field with Oppenheim in my opinon. And they hired Seth Gordon to direct who recently made ‘Horrible Bosses’. This will be an interesting remake considering back in 83, the extent of video games was PONG. Now that technology is way way better, I can only imagine the possibilities and new story line they can experiment with. I do love the nostalgic feel to the 80’s ‘War Games’. I miss playing those types of games. Curious to see how this pans out. This entry was posted on Friday, August 19th, 2011 at 10:58 pm	and is filed under Film, News. You can follow any responses to this entry through the RSS 2.0 feed. You can skip to the end and leave a response. Pinging is currently not allowed. « There Will Be A West Memphis 3 Feature Film That Should Begin Production Very Soon!!! Awk! Abandon ship! Abandon ship!